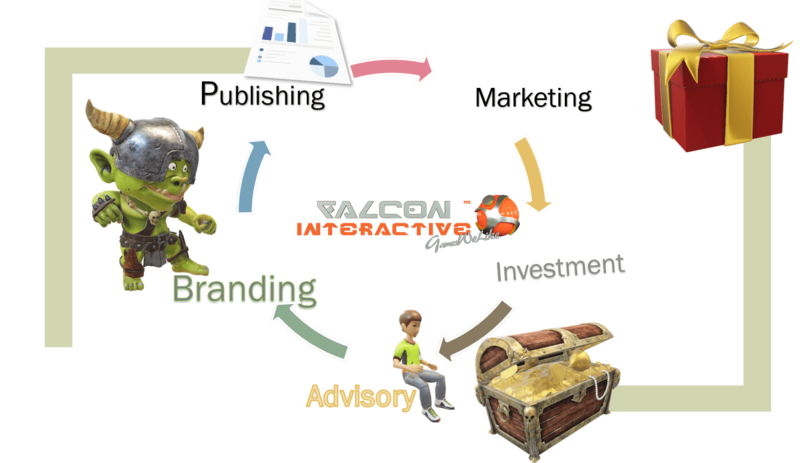 Falcon Interactive Group consisting of tens of experts, not only in programming and graphical production, but also in marketing, publishing, branding, and advising. 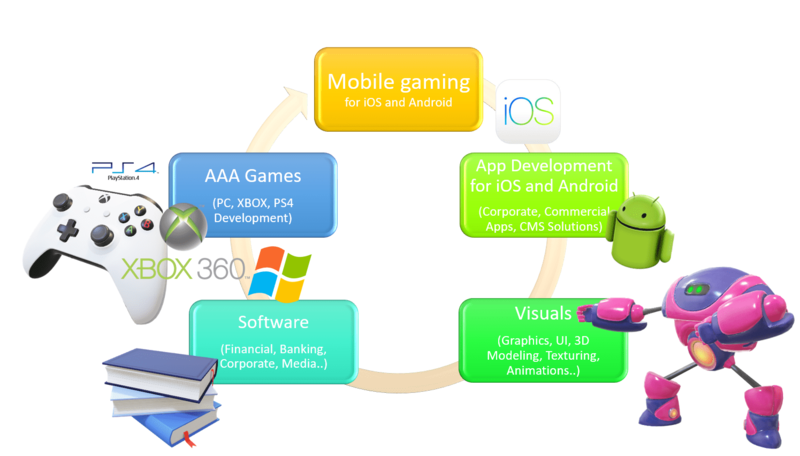 Our young and dynamic team will carefully track your development and suggest you full marketing strategy depending on latest researches of the global gaming market, particularly, a market which you targeting and suggest you full marketing plan. One of our departments is publishing department, where Falcon’s for decade preparing and publishing itself or with partners, it’s own Games for Mobiles, PC, XBOX, PS4.